Questions about Kichler Lighting 43172OZ? 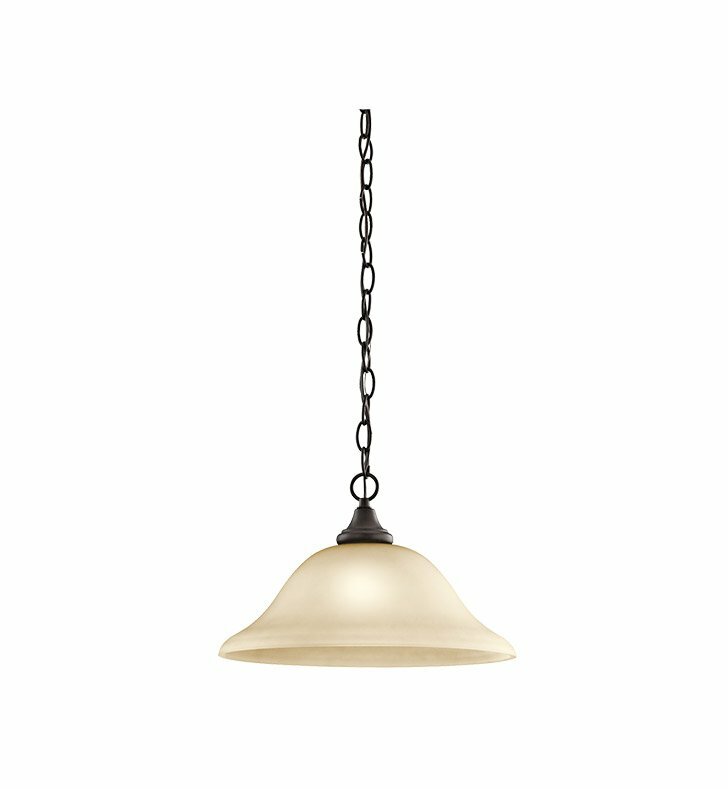 This 1 light pendant from the Monroe lighting collection is a unique twist on traditional Americana. The distinctive metal base is touched with an Olde Bronze finish, which beautifully complements the Light Umber Etched Glass adornment. With this design, we have turned tradition on its head to create an updated look. Dimensions: H 8 3/4" x W 14"